Our bathroom remodeling ideas will inspire you to create the bathroom of your dreams! Bathrooms are designed to be both functional and stylish, incorporating elements that meet the requirements of your household. You may need an accessible bathroom or one to suit the needs of small children. 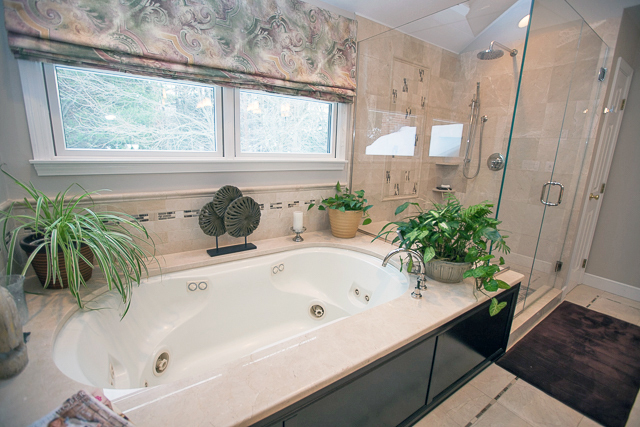 Perhaps you want a spa style master bath to create a relaxing retreat within your own home. Your bathroom renovation can be tailored to meet your individual needs. Your bathroom should be an oasis of calm within your home, as this room is also a space for relaxation. 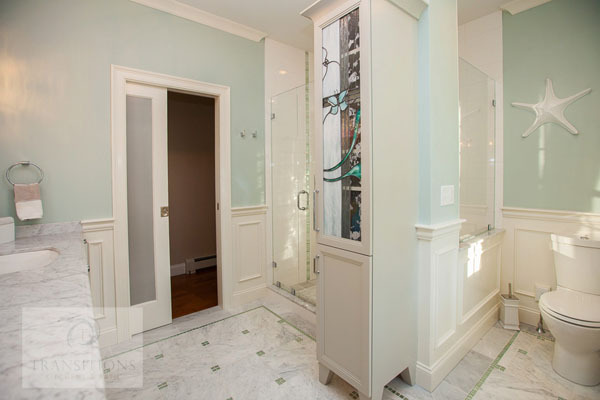 Bathrooms can be equipped with plenty of specialized storage to maintain a well-organized, soothing environment. 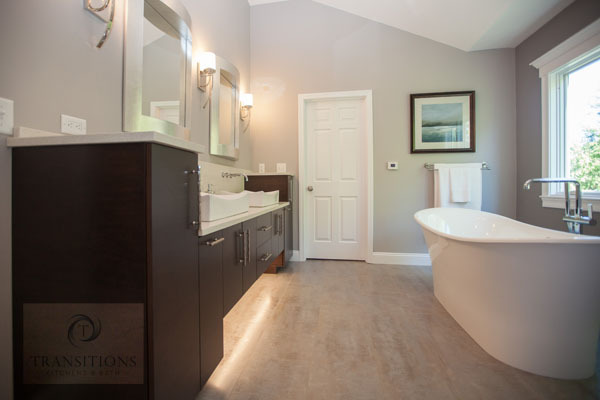 There are so many wonderful products and amenities available to complete your bathroom design: vanity cabinets to suit every style, extra-large showers, freestanding soaking tubs with heated bubbles that enable your tub to stay clean, and much more! Our experts can advise you on the best way to utilize your space and select the perfect products to complete your large or small bathroom project. Whether you require a renovated powder room, guest bath, or a complete master bathroom remodel, we can help you create your ideal bathroom.